Oh my gosh!!! Yum!!!!!!!! Speachless! 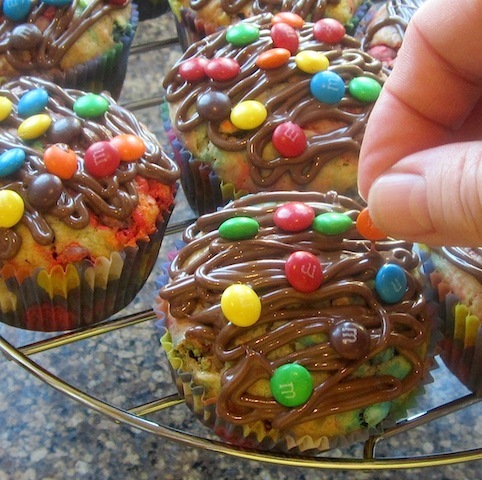 These are some serious muffins! Love them! And you're not the only one who didn't know what a Golden Birthday was. But now I know! Happy birthday to your daughter and grandmother!! Thank you, Laura, and I hope you have a great Golden Birthday! You were born on the BEST day of the year because January 23rd is also MY birthday, although my Golden one was long looooong ago. I am glad to hear that I am not the only one, Kate! Everyone around me looked at me like I had lost my mind when I said I had never heard of a Golden Birthday. One Canadian friend told me it's an American thing! Really? Who knew! 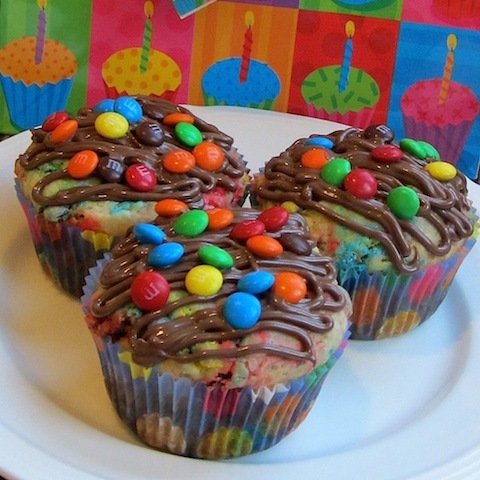 As for the muffins, there is nothing like a mini M&M or three for jazzing things up. Look at the colours of these beautiful muffins! They are everything celebrations and birthdays are about and just looking at them makes me happy :D Belated blessed birthday wishes to your daughter and mum. These look splendid! Happy birthday to your daughter and grandmother! Thank you, Jaime! I will pass on your good wishes!